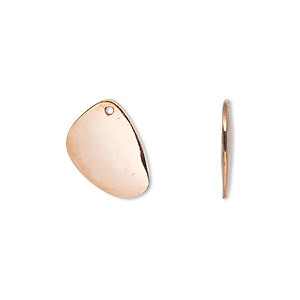 Drop, copper, 15x11mm curved irregular teardrop. Sold per pkg of 4. Item Number: H20-9628FX Have a question about this item? 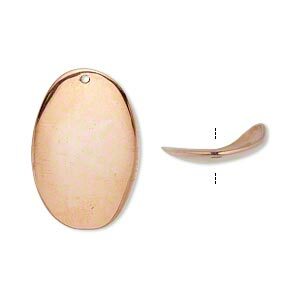 Cast copper drop displays a smooth curved surface for classic style with a post-modern edge. 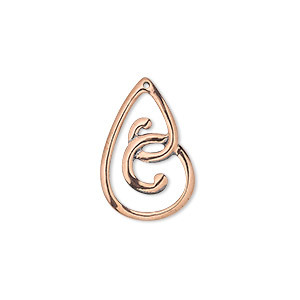 Drop, copper, 29x19mm smooth curved teardrop. Sold individually. 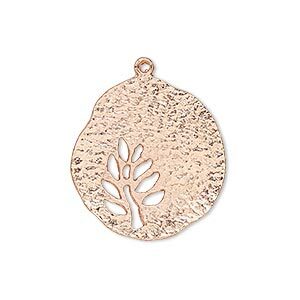 Drop, copper, 25x16mm curved flat oval. Sold individually. 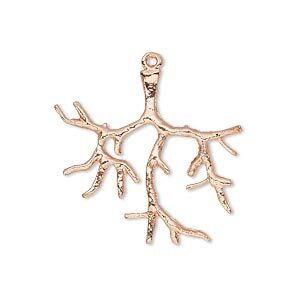 Drop, copper, 29x27mm single-sided branch. Sold per pkg of 4. 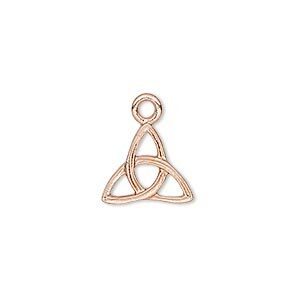 Drop, copper, 13x12mm triple Celtic knot. Sold per pkg of 4. 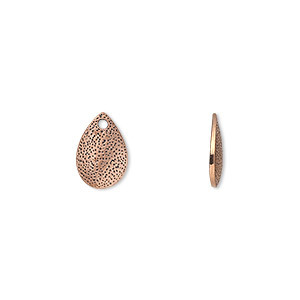 Drop, antiqued copper, 11.5x8mm satin textured curved teardrop. Sold per pkg of 4. 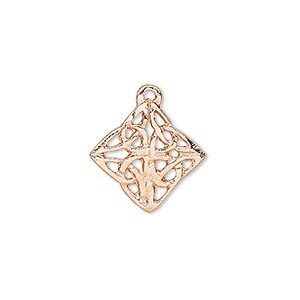 Drop, copper, 17x17mm diamond Celtic knot. Sold per pkg of 4. 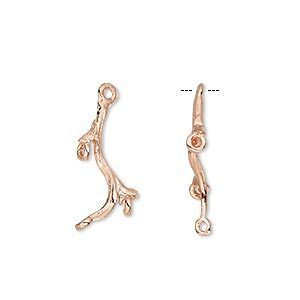 Drop, copper, 20x12mm branch, 3 loops. Sold per pkg of 8. 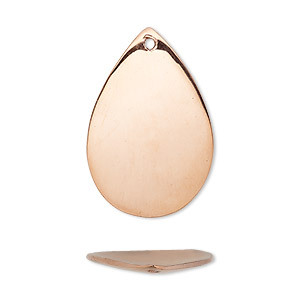 Drop, copper, 21x14mm single-sided fancy open teardrop. Sold per pkg of 2. 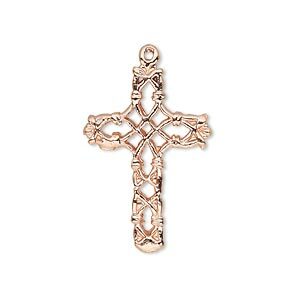 Drop, copper, 27x19mm filigree cross. Sold per pkg of 2. Drop, copper, 24x23mm hammered freeform with tree cutout. Sold individually.